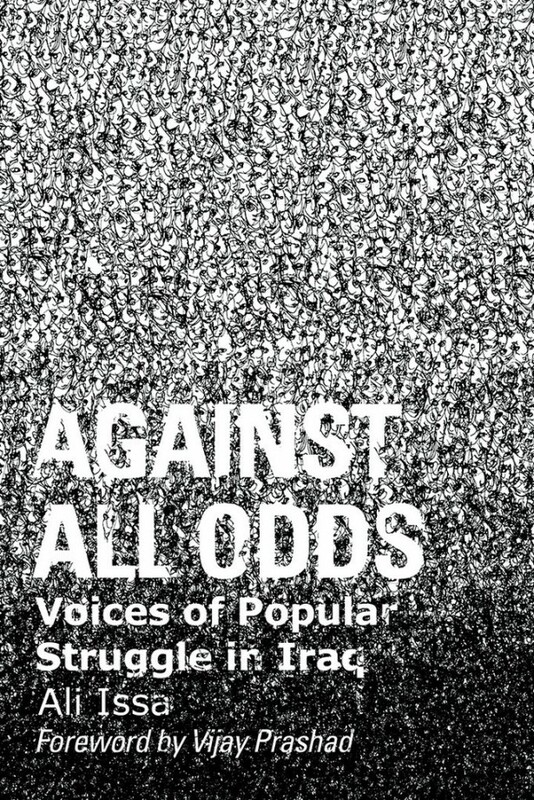 Through interviews with its leaders, “Against All Odds” tells the story of the rise of a mass nonviolent movement in Iraq in the wake of the Arab Spring. Yet there is another side to the story of Iraq, one that has been rendered all but invisible in the media, which seem to have no room for the words “hope” and “Iraq” in the same sentence. In February of 2011, in the wake of the Arab Spring, the hunger for a better future for Iraq — a hunger that had been repressed but never suppressed — arose again in force in cities across the ravaged country, in the form of a decentralized mass nonviolent protest movement. “Against All Odds” is the story of that movement, told in part by War Resisters League organizer and writer Ali Issa, and in part by eight leaders of different segments of that movement. Issa’s reports cover the first, intoxicating re-awakening of protest in Iraq, beginning with weekly sit-ins on Fridays, dubbed Iraq’s “Days of Rage.” Demonstrators had a wide-ranging list of goals, from better government services, like reliable electricity, to release of political prisoners. But constant and over-arching were the demands for an end to the U.S. occupation — which had been promised for the end of the year — and the Iraq people’s rejection of both the artificial and undemocratic structure of the U.S.-imposed government under then-President Nouri al-Maliki and the handover of Iraq’s nationalized oil industry to foreign (read U.S.) corporations that the government proposed. The grassroots groups that emerged during the protests were diverse as well, from trade unions, which were not legal at the time, to the Organization of Women’s Freedom in Iraq and the Popular Movement to Save Iraq. Prominent in the Popular Movement were the al-Zaidi brothers, organizers Uday and Thurgham and journalist Muntazar, known worldwide as the man who threw a shoe at then-U.S. President George W. Bush in 2008. The occupation ended, at least formally, more or less on schedule, and the oil re-privatization proposal was repeatedly voted down by the Iraqi parliament. But Iraq’s crisis was not over. A year later, Hashmeya Muhsin al-Saadawi, president of Iraq’s Electrical Utility Workers Union, talked about the ongoing fights for true legal status for unions, as well as for reliable electric power for all Iraqis — and for an end to the U.S.-imposed sectarian government structure. Journalist Greg Muttitt made it clear that multinational corporations were still — albeit illegally — operating the country’s oil industry. Mass protests surged again late in 2012. Again, they were met with attacks by government forces. By 2013, Iraq had “disappeared from public discourse,” declared journalist Ahmed Habib, “buried under the rubble of its own destruction.” But people continued to work for more democracy and even to save Iraq’s environment. “Our civil society is taking baby steps, but it is stumbling,” Nadia al-Baghdadi of the Save the Tigris and Marshes Campaign told Issa, but she went on to describe a well-coordinated and at least partially successful effort to block construction of a dam across the border in Turkey. Yet Alghezzi’s presence in this book, along with other voices from the Organization of Women’s Freedom and al-Saadawi, testifies both to the vitality of the popular movements and to the blindness of the outside world to what is really going on in Iraq. Women are working side by side with men to free their country. That’s just one of the lessons of “Against All Odds.” There are many, although the book would have benefited greatly by including a clear chronology of Iraq since the Gulf War. That said, what hope is there for the movements documented here? It’s hard to say, but as this review was being written, two startling photos appeared on the front page of the New York Times, along with an equally startling headline. Both pictures showed immense crowds in Baghdad’s Tahrir Square, and the headline declared, “Premier Haider al-Abadi, Facing Protests, Proposes Iraqi Government Overhaul.” The story went on to explain that al-Abadi was planning at last to dismantle Iraq’s undemocratic government structure, just as the popular movements have demanded since 2011. Yes, what the future holds for beleaguered Iraq remains an open question, and the fight for a better one remains a struggle “against all odds.” But what is certain is that that future will be better if more of the world is watching the effort. 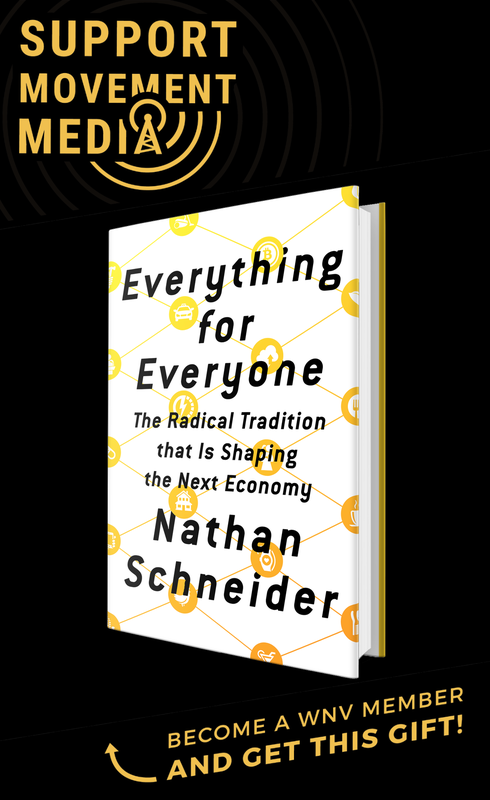 This book is a good and much-needed start.